3. All our material are inclusive of UV treatment, and fiberglass to strengthen the chairs. 3. Competitve Prices: We are factory based and we are offering direct factory prices with quality of export standard. 7. Service: We have a professional sales team to answer you in 24 hours. 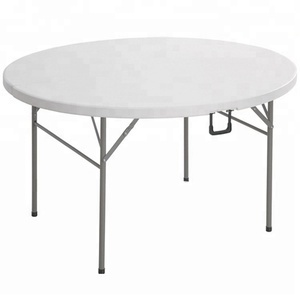 Zhuji Yijia Furniture Co., Ltd.
Rectangular Table Round plastic folding table Item code: Y-152 Size: round 152cm*H74CM. Round plastic folding table (Hot selling recomend) Item code: ZY-152 Size: round top 152cm*H74CM. 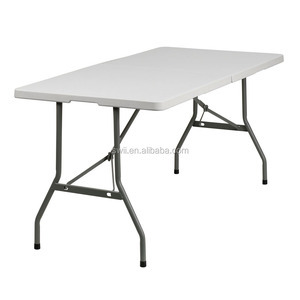 More PlasticTable folding plastic round table Item code: Y-80CM Size: Round 80cm top * H74CM. 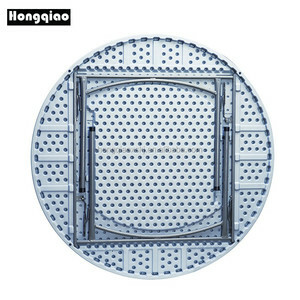 Alibaba.com offers 28,927 plastic round table products. About 8% of these are outdoor tables, 6% are dining tables, and 1% are moulds. There are 28,906 plastic round table suppliers, mainly located in Asia. The top supplying countries are China (Mainland), India, and Hong Kong, which supply 98%, 1%, and 1% of plastic round table respectively. You can ensure product safety by selecting from certified suppliers, including 4,625 with ISO9001, 3,464 with Other, and 1,537 with BSCI certification.